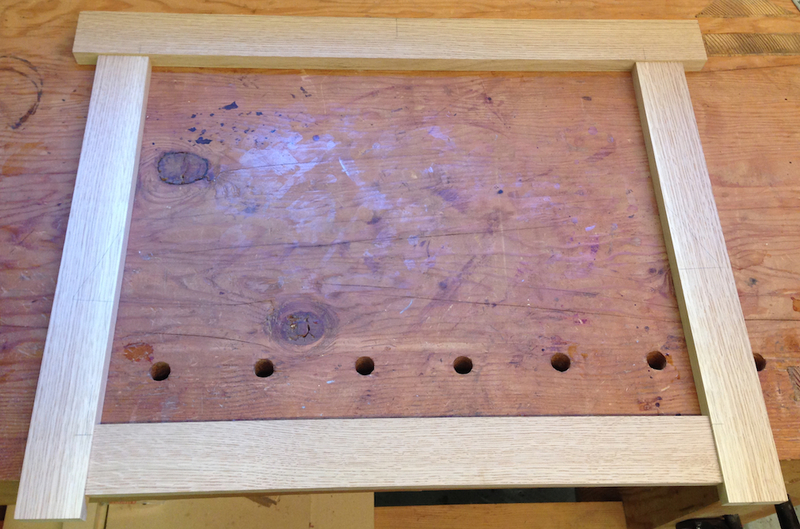 I got back from my visit to the Thorsen house this afternoon, and started making the back panels for the cabinet. While I was at it I decided to blank out the parts for the picture frame too. I ended up cutting the top rail a 1/2″ narrower (top-to-bottom) than I’d planned, but it isn’t a big deal, I think it will still look great. I got all the parts dimensioned, the mortises cut and the tenons fit. I spent a few minutes picking the best sides and orientation for the boards. The sides have a little streak of sapwood that I put on the bottom inside edge, and the figure in the top has a slight arc down at both ends. I’m not sure how visible that will be in the finished part, but I think it will work out nicely. 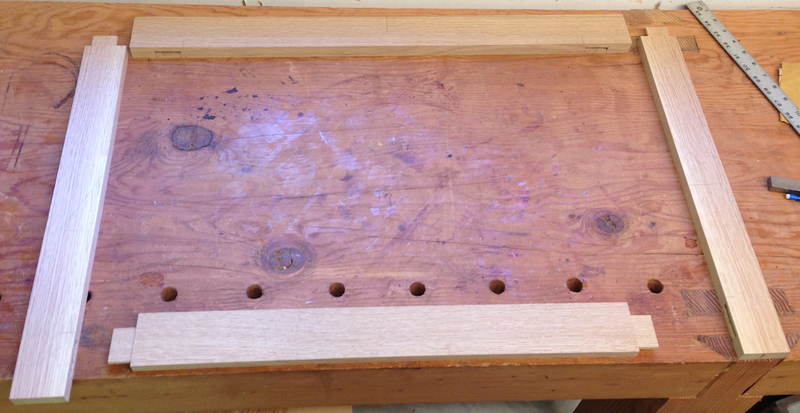 Still to do is the rabbet for the glass, the bevel on the top, and the ebony plugs. I love quick projects, I can finish this in a few more hours.